Vibrant art and original music will invite your parishioners to experience anew the familiar narrative of the Stations of the Cross. 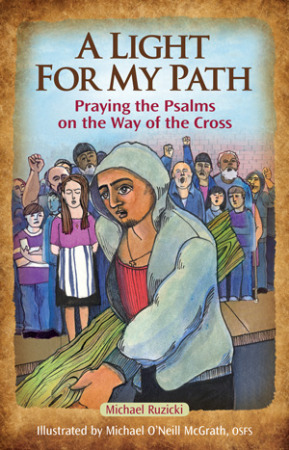 This innovative resource offers an order of prayer which includes pastoral reflections, short Scripture readings, and sung responses with recited psalm texts. Perfect for prayer throughout Lent and on Good Friday, A Light for My Path is adaptable for both individual prayer and for use by parish assemblies with a full complement for liturgical ministers.